Has your windshield suffered a run in with a rock that left it cracked beyond repair? Don't drive your vehicle, just call Superior Auto Glass in Bend. Our professional auto glass technicians will come to your location in Bend, Redmond, Prineville, Sisters, La Pine or Sunriver and replace your damaged windshield. We're happy to take your insurance claims and bill your insurance directly so we keep your costs low, or even free! Call Superior Auto Glass at (541) 435-2601 today to request a free quote or schedule an appointment for windshield replacement in Bend. If you need a windshield in Oregon, we have you covered. We specialize in Audi windshields, Porsche windshields, BMW windshields and Mercedes windshields, but there is no make or model that we can't repair. All our windshield replacement work is guaranteed! 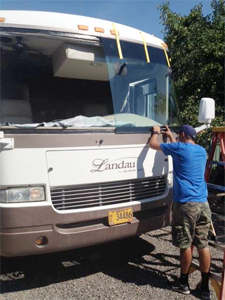 Whether you have a class A motorhome or something much smaller we can replace any damaged motorhome windshield in Bend and the surrounding area. We want to keep your vehicle safe and legal! At Superior Auto Glass we are experts when it comes to finding and installing rare glass and windshields for collector vehicles. 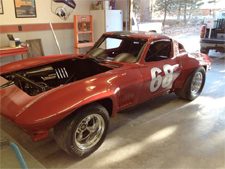 From muscle cars of the 60s and 70s to classic Chevrolet and Ford cars of yesteryear, we look forward to helping you complete your automotive restoration. Call Superior Auto Glass today at (541) 435-2601 to schedule an appointment or request a free quote for auto glass repair or windshield repair in Bend and throughout Central Oregon. Remember, we come to you!